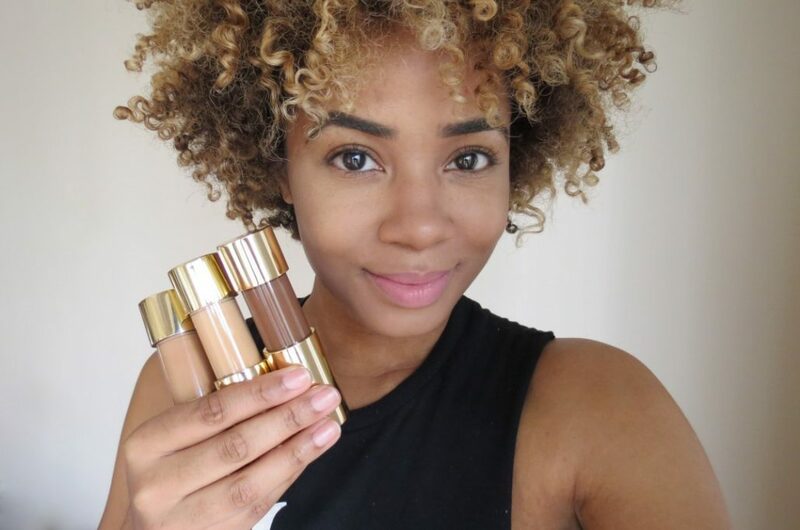 We interviewed Lifestyle/Beauty influencer, @McKenzie_Renae, and discovered how she works with brands and her view of influencer marketing shifts from 7 years ago when she began her career as an influencer. With over 65,000 fans that follow her for beauty advice, fashion ideas, and more, McKenzie started blogging her senior year in college in response to her friends’ requests for advice. After working with brands like IT Cosmetics, Sephora, Covergirl and more, we talk about her best experiences and suggestions for brands new to influencer marketing. Zubair Hossain: How did you get your start creating content, and how has it changed your life? McKenzie Renae: I started blogging back in college. I originally started my senior year in college as a makeup artist and I started my blog at the end of that year. I started due to my friends who had similar beauty concerns and questions. Initially, I started with basic skin care questions, like what products you should use. That kind of led me to product reviews, doing more informative posts, and educational posts as far as how to take care of skin, hair, and that sort of thing. Then style kind of got into the mix, and it’s been 7 years now. They actually chose me as a finalist for the contest, so I was competing in a series of beauty related weekly challenges. My followers had to vote for me, so I had my friends and my family posting messages for me trying to get people to vote for me. That kind of changed everything for me, because, although I didn’t win, it was a great opportunity and a huge exposure for me so early on in my career. That [was] when I transferred over to the domain McKenzieRenae.com from my tumblr, I was added to a bunch of different beauty lists and different companies were wanting to send me products to review. [I] just kind of got on people’s radar after that. Shortly after that, Seventeen magazine contacted me and asked whether I wanted to be in their blogger blowout special for their back to school edition. After agreeing, I was featured online with a full 2 page spread in the Seventeen magazine. Those two things were really big and helped me launch early on in my blogging career. ZH: That must have been so exciting to have Allure and all these brands reach out to you. Was it overwhelming? What was the most challenging aspect of that? MR: No, it wasn’t overwhelming, it was exciting, and honestly it was so early and I was so having so much fun with my blog, it wasn’t to the level or seriousness that it is today. So it was just a different way that I kind of approached it, and it was really fun, because it gave me more ways to connect with my audience. I had reviews and products, and kind of became this authority in this beauty world for them, so that they could see what my opinion on it was. They could either take that opinion or go a different direction. It was cool because they looked to me for that. ZH: You said you’ve noticed a huge shift in the blogging community. Where do you see the influencer community moving toward in the next few years? Especially as more and more people are finding it a very fun thing to do. MR: Man, I feel like the influencer community is limitless at this point. It’s grown so big, it’s not stopping, it’s not slowing down, or anything like that. I just feel like there’s so much room to be creative for where you want to take your individual platform. I think that is the beauty of being an influencer that you do have control over [your content]. I think that is going to continue to go on. There has already been huge influencers who have partnered with brands to create their own line, and I think that is going to continue to grow and it’s going to be really dope. ZH: How have you interacted with brands? What is your best experience so far? What are the brands you really enjoy working with and how did they reach out to you? MR: Brands for the most part, reach out to me. Typically I receive different press releases of products that are new or coming out, asking if I want to partner with them or review something. I guess the brands that stick out to me the most are the brands that really give me a custom personal experience. Like they sent this and it was meant for me. That’s been a really cool experience of working with brands, and making things more personal, because it makes you want to share the product and share in general, because they took the time to care. That would be the thing that sticks out to me the most. And really makes that experience the best. ZH: Are there any things that brands do that you don’t appreciate? Things that make you think/say I’d rather not work with this brand. Like, I have been approached by companies who wanted to do a partnership with mothers and kids, I am not a mother, and if they had done some research it would have told them I am not a mother. ZH: Are there any small brands that reached out to you, that did something really spectacular that you loved? MR: I’ve worked with small brands in the past, it just really depends on what the brand is. For example, if I really think the idea or product is interesting, or if I stumbled upon it and thought the product is cool. I guess the main thing for smaller brands working with influencers, is to try and link with influencers that are closer to your level to start. When you reach out to influencers with a larger following as a small brand, most of the time compensation is expected. So, most of the time, small brands don’t have the resources to do that. If you really feel like you match up with this influencer, I’d say that is the best way to go. I have had smaller brands reach out to me. There was a soap company from a really sweet girl they had been following me for some time and I noticed because they would comment on my page a lot. They were always just really sweet. So they reached out to me, they had a soap line, and just sent me some products to try out, and it was a no pressure thing. I know the expectation was we send you product and you post it. It just depends on what you are asking someone, and maybe take a micro-influencer for a smaller brands. ZH: Are there any best practices for Brands to approach you. What makes that first reach out from a company most enticing? MR: What is enticing are brands, and I keep on coming back to this. A brand that reached out to me [saying] we love your blog, and they say, “We really loved this post that you did about whatever topic.” When they refer to a specific post, it makes me believe that they looked at it. It sounds too generic when you send something like, “We love your blog and we would love to work with you”. Yeah you can send that to someone, but you have to remember people get these emails all day everyday. So you get that email, I’ve gotten that email 10 times just today, and it doesn’t make me believe them. Sometimes I will look into it a little deeper if I liked it, but if you customize it, then I will probably read your email deeply, and figure out a way to work with you if I really like you. No matter if it is a small company or a small budget, if you did all the right steps, and we align up, maybe it’s not right now but something I’ll remember for the future. ZH: Do you prefer a certain communication platform from Companies? MR: As a small business you should never DM, some big companies can get away with that, but it should stay professional. Like if you come to me like your home girl, that’s not cool. I prefer to keep it professional and DM’s comes off as not professional [to me].